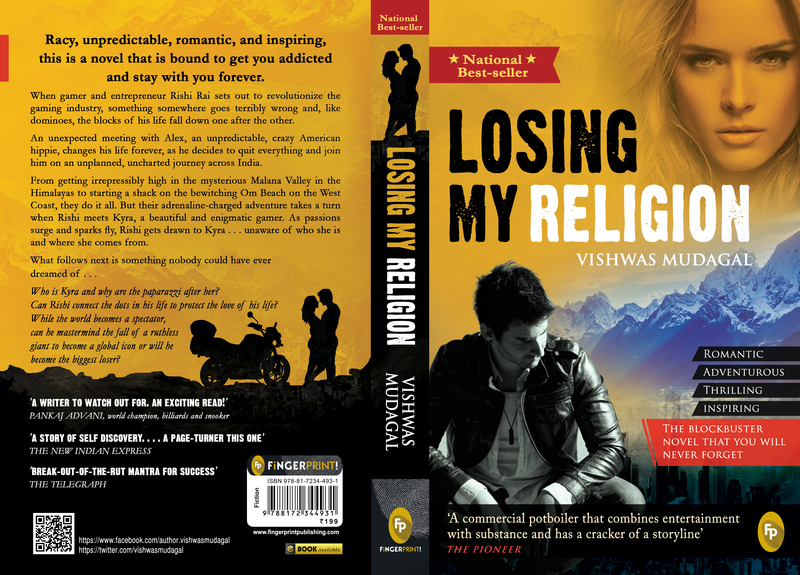 Racy, unpredictable, romantic, and inspiring, Losing My Religion (LMR) is a novel that is bound to get you addicted and stay with you forever. It is a book that has captured the imagination of tens of thousands of readers in India and world-over, and has been rated as the No.1 Reader’s Choice book of 2014 in India by Simplify360 report. 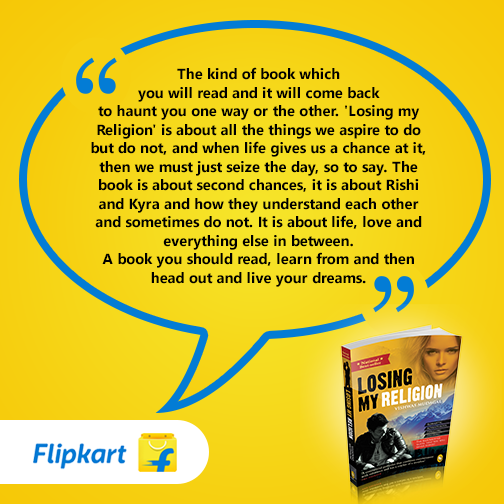 Losing My Religion is the gritty story of Rishi Rai, a fallen gaming entrepreneur-turned-adventurer. An embodiment of the young, ambitious, and restless India, Rishi sets out to revolutionize the gaming industry and bring the dawn of a new era in gaming, but something somewhere goes terribly wrong and, like dominoes, the blocks of his life fall down one after the other. An unexpected meeting with Alex, an unpredictable crazy American hippie, changes his life forever as he decides to quit everything and join him on an unplanned uncharted journey across India. From getting irrepressibly high in the mysterious Malana valley in the Himalayas to starting a shack on the bewitching Om beach on the west coast, they do it all. But their adrenaline-charged adventure takes a turn when Rishi meets Kyra, a beautiful and enigmatic gamer. As passions surge and sparks fly, Rishi gets drawn to Kyra… unaware of who she is and where she comes from. It has a series of twists and turns that will keep the reader gripped till the last page. It touches on and plays with themes and elements that are sure to strike the right chord with its target readership: the youth. Adventure, thrill, danger, romance, drugs, and gaming, this book is a potboiler of a story that delivers on all the above accounts.